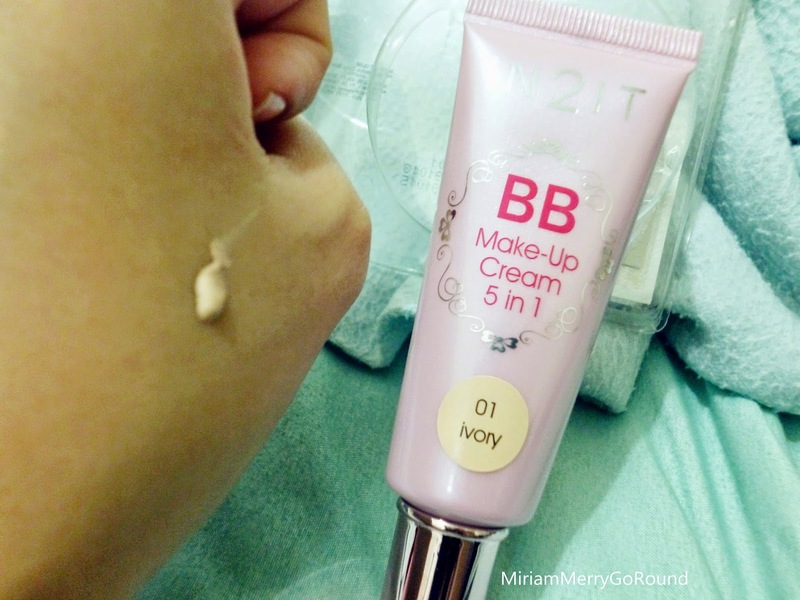 So here's my review for the BB Cream. 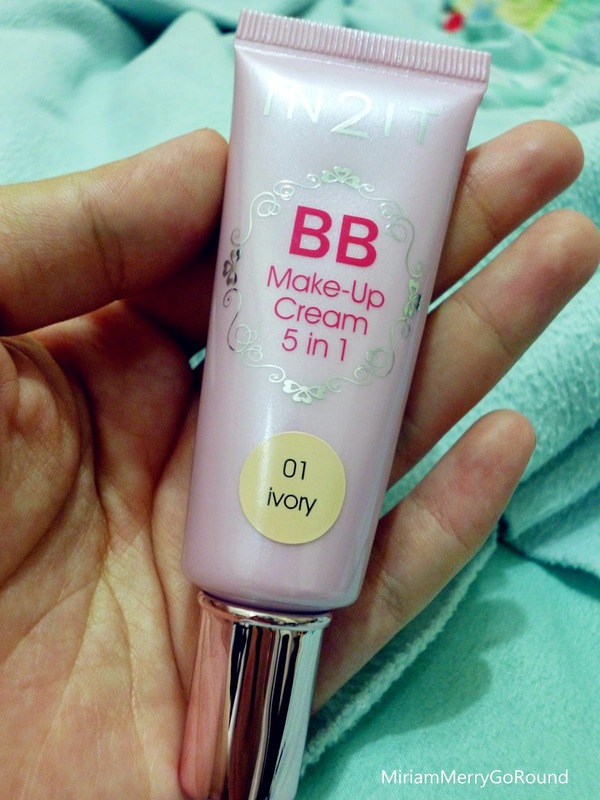 There are two tones for this BB Cream and I chose the 01 Ivory tone. One thing I didn't like was that there were no testers so I had a hard time choosing the right tone. The other tone is 02 Sienna which is slightly darker but from the colour of the package there wasn't much difference. 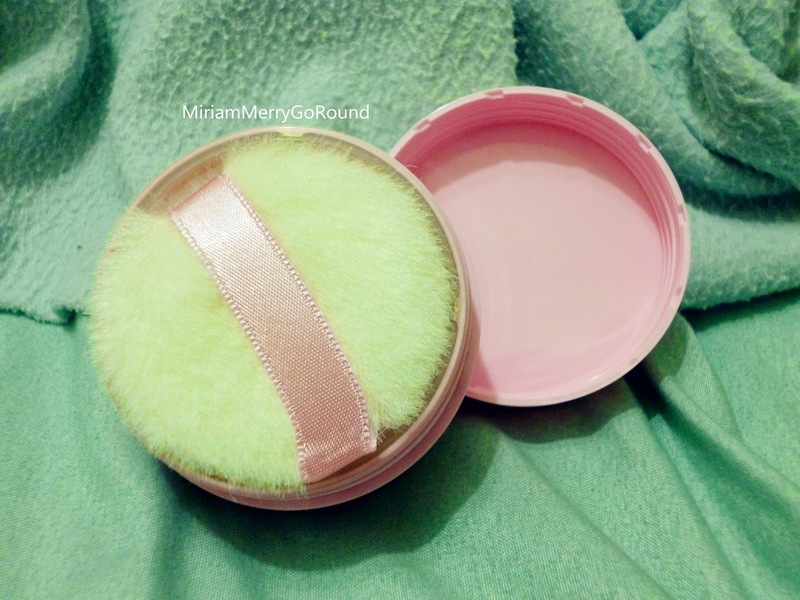 The loose powder also has a protective cover to prevent the powder from flying all around the place. I made the mistake of removing the cover and I had loose powder all over me. I chose to actually puncture some holes on the cover and tilt some powder out from the holes when I want to use it. So firstly, I squeezed some of the cream onto my hand and rubbed it in. 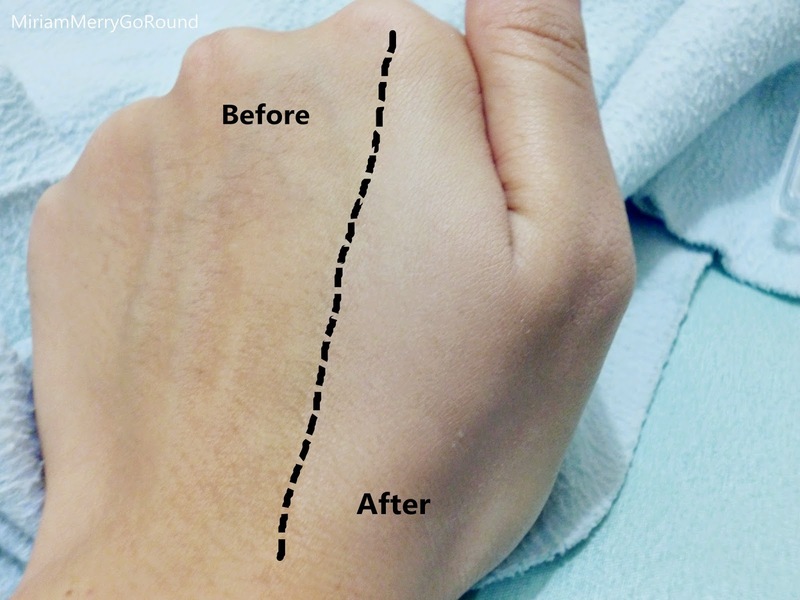 From the before and after photo I'm sure you can see the difference where the area that I applied the cream is slightly lighter compared to my original skin colour. 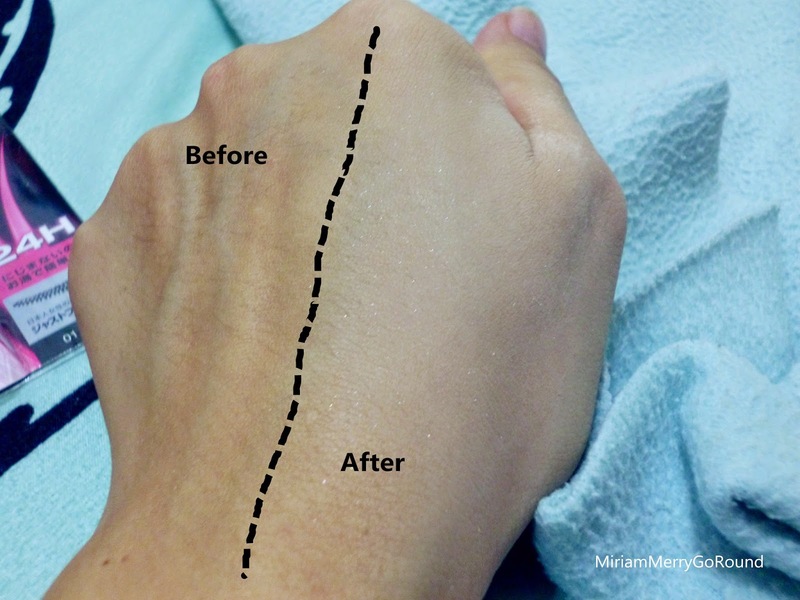 My skin also appears smoother and whiter. This is before I applied the loose powder. 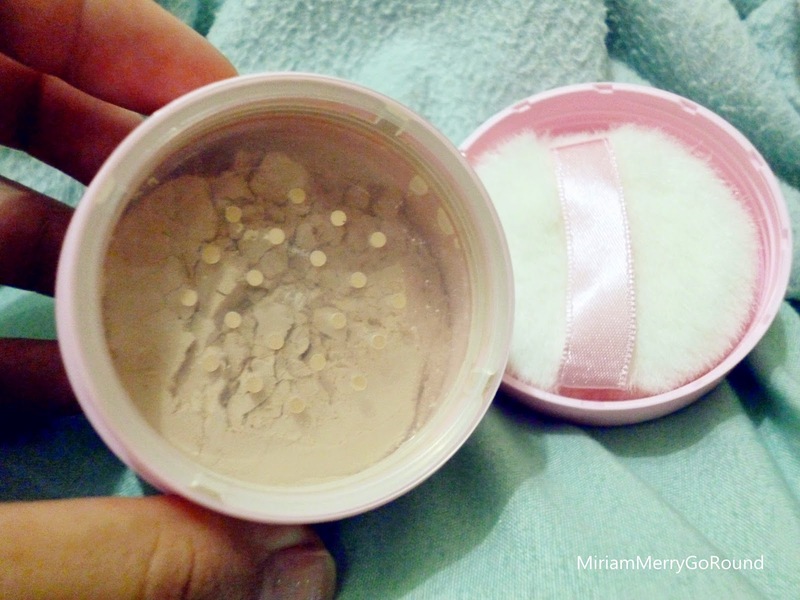 Now after I applied the loose powder, as mentioned on the product there were shimmering glitter powder in the loose powder which made my skin glow like Edward Cullen's skin from Twilight! 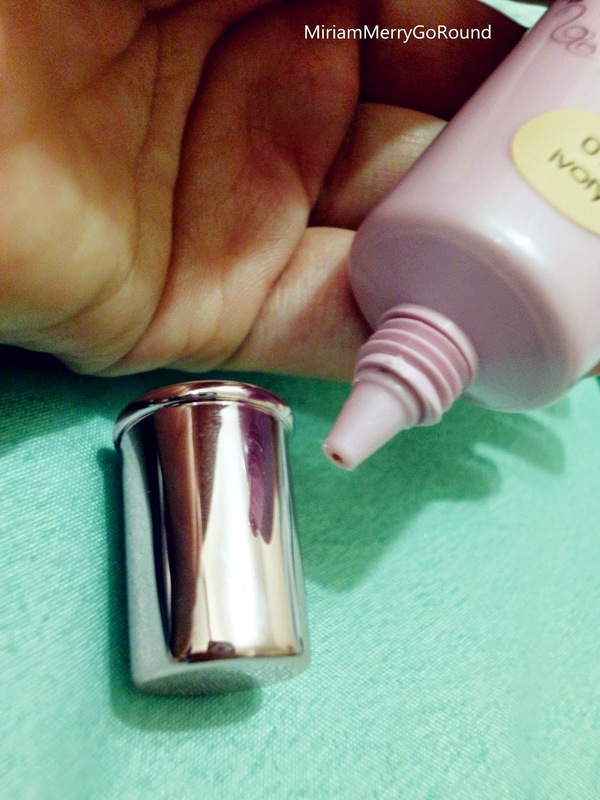 So you have to bear in mind to sweep off some of the excess powder using a fan brush if you find it too shiny. The BB Cream texture is slightly thick which is good for concealing but it does not turn your face cakey like using foundation. It still gives you that natural make-up less look if you are aiming for a natural makeup look. 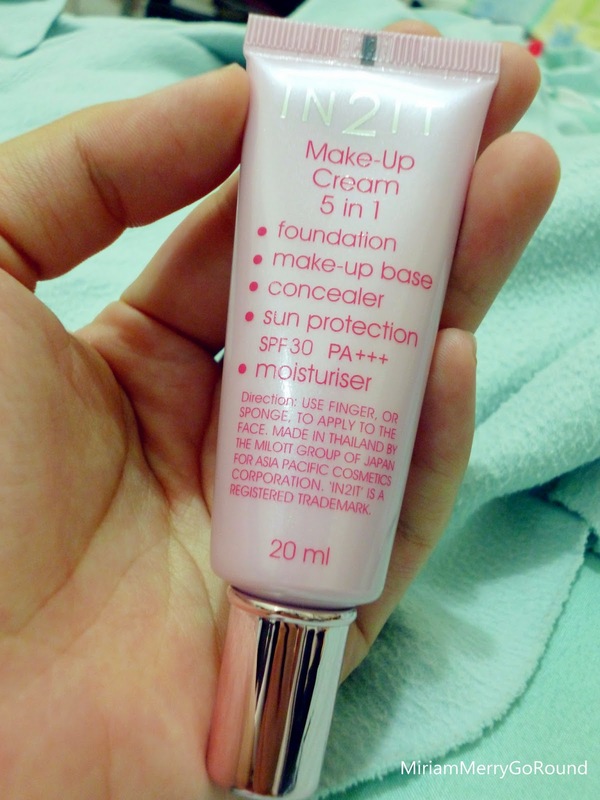 I also liked that it has SPF30 which I can use it on top of my usual sunblock. 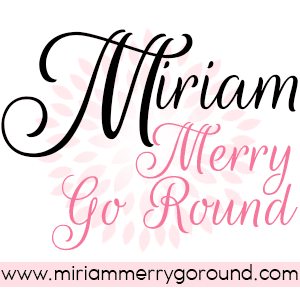 Meanwhile for the loose powder, I quite like it that it helped control the shine on my face for several hours but I would prefer to have less of the shiny powder which makes my face glitters but it would be great for a night dinner look. 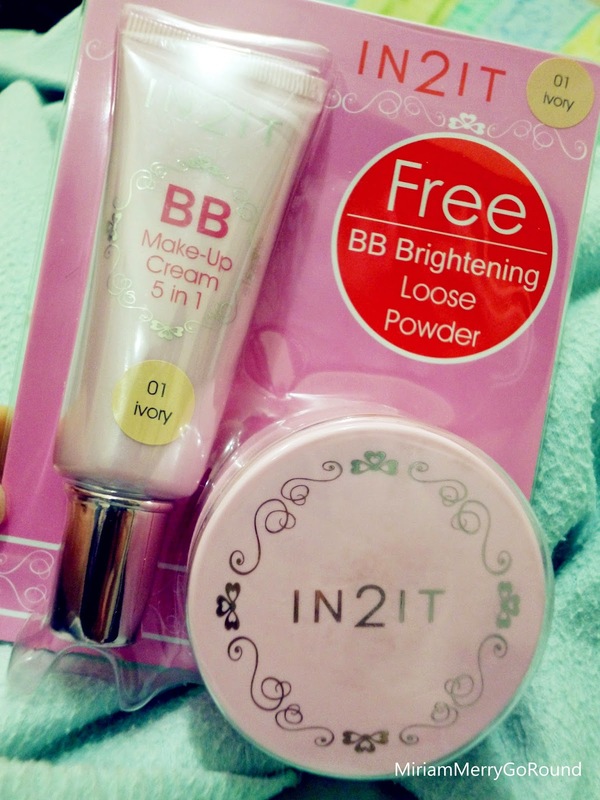 Overall rating for both BB Cream and Loose Powder I would give a 4/5 for an affordable, budget-wise makeup base product for beginners.